CarGurus has 223 nationwide Huracan listings starting at $169,955. At a recent gathering of the U.S. motor press, held at a private racetrack, every new hot car was available for testing. The Corvette Stingray, a Dodge Hellcat, Alfa Romeo 4C, SRT Viper, Nissan GTR, BMW M3, and even the BMW i8 were all at the party. Unfortunately for all the manufacturers and attendees, a track member had left his personal Lamborghini Huracán parked at the end of the paddock, where each press member had to pass before entering the track. It served as a reminder that no matter how special the 700 hp iron horse you might be in, it pales in comparison to what Sant’Agata can build for you. There was a time when Lamborghinis were crude, rude, and very difficult to live with, much like the bulls they were named after. Their interiors were an inside joke within the supercar world, their mechanicals questionable, and their usability limited. Lamborghini suffered financially from 1974 through 1998, when Volkswagen stepped in as a savior and the company was placed under the supervision of the Audi division. 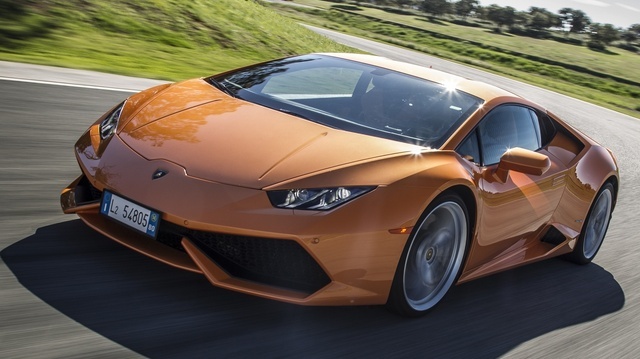 The 2015 Huracán LP 610-4 replaces the strong-selling Gallardo and has received the full Audi treatment. We won’t waste your time describing the body shape of the Huracán other than to say the theme is a wedge decorated with hexagons. It resembles no other car in the world. The car’s name is also unique, borrowing from a bull that lived its life fighting humans in a ring and died more than a century ago. That it sounds like "Hurricane" is only an appropriate coincidence. The Huracán is offered in two forms: the LP 610-4 street version we are detailing here and also a rear-wheel drive racing version called the 620-2 Super Trofeo. The race version competes in a GT class that requires rear-wheel drive. Although the structure of the 2015 Huracán LP 610-4 is unique, the car benefits from using an Audi-derived drivetrain. The Huracán’s V10 engine is a variant of the Audi R8 V10’s engine and while the all-wheel drive is not called Quattro, that's just in consideration of Lamborghini’s marketing plan. The 7-speed, dual-clutch automatic transmission, the only one offered in the Huracán, is also familiar to and much loved by those that follow Audi’s supercars. Every potential Lamborghini owner should jump for joy at these facts. In the Huracán, the naturally aspirated (non-turbo) V10 engine produces 601 hp and a stout 412 lbs-ft of torque. The Huracán is slowed by standard carbon ceramic brakes and includes a suspension featuring either traditional shocks or optional magnetorheological dampers. The engine is a revver that likes to be wound out; Lamborghini’s conservative estimate is that the 3,100-pound Huracán will sprint to 60 mph in just 3.2 seconds and won’t stop until it hits 202 mph (given a track large enough for that sort of insanity). The chances of the driver living through that adventure, however, are very good by comparison to those provided by Lamborghinis of days past, due in large part to those modern brake and suspension components. Like all good supercars, the Huracán has driver-adjustable modes: Strada, Sport, and Corsa which translate to Street, Sport, and Track. The driver can also adjust aspects of the vehicle’s drivetrain and suspension individually, should he or she choose to do so. The atmosphere inside the carbon and alloy tub of the Huracán is quite civilized. Italians sitting at workbenches stitched the seats, door panels, dash and headliner together from the finest leather and Alcantara. Although the seats in this supercar are heated and power adjustable, the Huracán’s civility only goes so far. The center stack features toggle switches that look like they were taken from a salvaged F-14 Tomcat. What really provides the Huracán's aggressive attitude, though, is the hexagonal theme Lamborghini carries over from the body’s style into the cockpit. Everything is angular and sharp. The information display is an ultra-sharp color TFT screen and a giant tachometer sits directly in front of the driver. Gauges have been moved out of the way over to the center stack where they can be looked at when conditions are safe enough to take one’s eyes off the view ahead. The 2015 Lamborghini Huracán has a price of roughly a quarter-million dollars but, unlike its Italian nemesis Ferrari, Lamborghini does not artificially limit production of its Huracán (much), so obtaining one is possible if a buyer has the financial good fortune. What's your take on the 2015 Lamborghini Huracan? 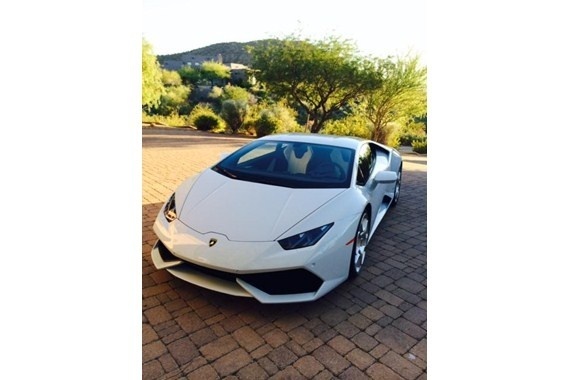 Have you driven a 2015 Lamborghini Huracan?